Translated by Anna Maria Reimer and revised by Christine Crawford. On May 16th 2014, after the general elections for the Indian People's Assembly, a new political icon emerged, 64 years after India's independence. The Indian People's Party (Bharatiya Janata Party) only obtained a slim majority in the Lok Sabha,1 but they left all competing parties far behind.2 The former Chief Minister of Gujarat, Narendra Modi was now India’s new prime minister. He had placed himself as a representative for the ‘new India’ in his electoral campaign. However, whether their dreams are to come true now, remains in doubt. What led to the BJP's sweeping victory? What is the face of the "new India" that Modi and his party have proposed throughout their electoral campaign? In view of the fact that every sixth human being will be Indian in the 21st century,4 these questions are not only topical for those interested in India, but also have global relevance. Author and journalist Pankaj Mishra, opens up a different perspective on the BJP's and Modi's win. He points out the influence and money of the large corporations and industry giants like Ratan Tata and Mukesh Ambani, who generously sponsored the BJP election campaign. He questions Modi's loyalty to the poor and the marginalized Indian society. The former tea stall vendor, does not distinguish himself from the corrupt politicians he frequently chastises for owing their power mainly to the clout and money of others. Nonetheless, the electoral victory of the BJP cannot be explained solely through the backing of a few powerful individuals. Instead the social level which has become the primary political power in India since the country's economic liberalization in 1990, needs to be addressed here, namely the new Indian middle class. It is this group that is mainly driving India's domestic consumption, arousing the interest of sociologists and political scientists alike. The face of India's cities and particularly its metropolises, is undeniably pockmarked by darks spots, which show that the Indian economy still largely depends upon the cheap labour of the lower castes, Dalits, OBCs10 and itinerant workers. In Mumbai, slum dwellers comprise more than a minority, but a stunning 50% of the total population.11 Their makeshift dwellings standing on urban wasteland, under highways and on public squares, are repeatedly removed by the municipality, but since the poor only find work here, they return again and again. The fact that the figure of slum dwellers has doubled between 1981 and 2001,12 shows that economic liberalization has exacerbated the polarization between rich and poor considerably. Modi's promise to fight poverty thus appears only as a rhetorical concession. Through its emphasis on Hindu values, the BJP also managed to appeal to the poor and uneducated, who see their values and traditions threatened by globalization, yet it tacitly made the middle class its political priority. This type of politics manifests itself clearly in the urban battle for space. Although many wealthy inhabitants live in gated communities, serviced by armies of employees who live close by, more and more so called "citizen's initiatives", actively oppose squatter and slum settlers. The municipality and jurisdiction almost invariably ignore the interest of the latter, granting a clean and "safe" environment primacy over the needs of the service class. Interestingly, representatives of such initiatives claim to work for the good of the public and their right to a livable environment, thus implicitly declaring their interests public. At the same time, more and more urban space is privatized, policed and thus withdrawn from use by others. This is characteristic of the increasingly aggressive manner in which the Indian middle class reclaims its civic rights, increasingly with the support of mainstream media. Aggressive expulsion and marginalization are also the plight of the Indian Muslims. Although largely secular in their orientation, Muslims are frequently reviled on television, online and in films, as ignorant, medieval and malicious people. A convergence emerges here, as the political ascent of the BJP in the late 1990s was marked by a contemporaneous increase in violence and hatred vis-à-vis Muslims, which culminated in Mumbai's communal riots13 in 1992/93 and Gujarat in 2002. In "No God In Sight"16, former journalist Altaf Tyrewala paints a fictional and yet acutely realistic image of Muslim life in Mumbai, 10 years after the riots.17 Here the Muslim characters are still facing daily hostilities and discrimination. Many are victims of multiple discrimination as Muslims, members of the underclass, women and handicapped people. Even if economic success carries the promise of greater freedom, the latter largely remain confined to the exercise of consumption. The gospel of wealth displaces all other aspirations to personal happiness. Besides Krishna and Ram, a favourite divinity of Hindu nationalists who demolished a 16th century mosque in his name in Ayodhya in 1992, sparking nation-wide riots, Ganesh and Lakshmi (Gods associated with material wealth) seem to enjoy the greatest popularity in the Hindu pantheon. The orientation towards a neoliberal, radical form of capitalism advocated by the BJP and the renaissance of Hindu Nationalism (which was a minority ideology for many decades), are not simply contemporaneous, incidental phenomena. They are premised upon each other. Since wealth is inalienably predicated upon access to education, and since corruption is rampant, wealth is unattainable for those who have nothing to begin with. The enormous frustration and violent potential (resulting from the impossibility of equal participation), is diverted onto Muslims, terrorists, Pakistanis and other images of the enemy. Ultimately, the "new" India seems too deeply rooted in the old India. The latter has found a fertile soil in neoliberal capitalism, onto which its paradigms can be almost seamlessly sowed. This genuinely Indian modernity – if one wishes to name it, defines itself through the radical realization of a polity, in which the powerful/wealthy individual is the origin and yardstick of all action. Consequently, the widespread notion of an "archaic" India, in contradiction to a technocratic modernity, requires critical revision. It is not the putative clash of the traditions of millennia and post-modern lived reality, that is to blame for India's problems. The hierachies and customs of the old India, used an economic system similar to the current one, which renders existing disparities insurmountable. The logic of enlightenment, which assumes that political progress is a corollary of economic progress, appears obsolete and no longer serves as an explanatory framework. Whichever path the new India takes, it cannot be viewed and understood against the background of western and European political and historical developments. Lok Sbha (Hindi) means assembly of the people. However, 194 of these seats were won in only six states in northwest India, among them Modi's home state Gujarat.- Cf. Sircar, Neelanjan: The Numbers Game: An Analysis of the 2014 General Election, Philadelphia 2014, URL: https://casi.sas.upenn.edu/iit/nsircar, 30.03.2015. The Hindu (20.05.2014), URL: http://www.thehindu.com/news/national/text-of-narendra-modis-speech-at-central-hall-of-parliament/article6030457.ece, 30.03.2015. Varma, Pavan K.: Being Indian. Inside the Real India, London 2006, p. 1. Mishra, Pankaj: Narendra Modi and the new face of India, in: The Guardian (16.05.2014), URL: http://www.theguardian.com/books/2014/may/16/what-next-india-pankaj-mishra, 30.03.2015. Cf. Varma, Pavan K.: Being Indian, Neu Dehli 2004, pp. 183f. Cf. Brosius, Christiane: India's middle class. New forms of urban leisure, consumption and prosperity, New Delhi 2010, p. 2. Cf. Bronger, Dirk: Metropolen, Megastädte, Global Cities. Die Metropolisierung der Erde, Darmstadt 2004, p. 163. Scholarly texts mostly focus on progroms or ethnic cleansings, rather than riots. According to the official statement of the government 790 Muslims und 254 Hindus died.- N.N. : Gujarat riot death toll revealed, in: BBC News (11.05.2005), URL: http://news.bbc.co.uk/2/hi/south_asia/4536199.stm, 30.03.2015. Tyrewala, Altaf: No God in Sight, New Delhi 2005. Bombay was renamed Mumbai after the Shiv Sena victory in the November 1995 state elections. A speech to the constituent assembly on the 4th November 1948. Mishra, Pankaj: Narendra Modi and the new face of India, in: The Guardian (16.05.2014), URL: http://www.theguardian.com/books/2014/may/16/what-next-india-pankaj-mishra, 13.03.2015. "Schon mal in Bangalore gewesen, ein Kollege von mir war da und was ich von den News-Insidern bekommen habe, ich erinnere mich, waren alleine die letzten Wahlen dort der Albtraum. Da will man nicht ohne Footballhelm ins Parlament von Kannada (cool die Autokorrektur kennt den indischen Staat) gehen." Die Muslime wurden, zum Beispiel unter Modi im Gujarat, verdrängt, vertrieben und getötet, auch da man deren Anteile am Geschäftsleben, Immobilien usw. so, unter Maskierung eines religiösen Konfliktes, übernehmen wollte. Also brutalste "Marktveränderung" durch faschistische Methoden. Von daher muss dieser vorgebliche Hindu/Muslim Konflikt, der nach dem Motto "teile und herrsche" Optionen für die Zukunft bietet, unmenschliche, auch um Wahlen zu gewinnen, am köcheln gehalten werden. danke für Deinen Kommentar auf den ich gern antworte. Zunächst einmal hatte ich auf die Wahl der Informationen in der Graphik keinen Einfluss - die Redaktion hat die Informationen ausgewählt und visualisiert. Der Vergleich mit China ist wohl auch der Aktualität des wirtschaftlichen Indien-China Vergleichs geschuldet. Erstens hat die föderale Organisation Indiens als solche nicht allein mit der ethnischen bzw. linguistischen Splitterung zu tun. Muslime, Christen, Parsen, Jains und viele andere Minoritäten leben in vielen Bundesstaaten Indiens - wenn es auch örtliche Schwerpunkte gibt, bei den Muslimen also beispielsweise eben Kashmir, Gujarat und Mumbai. Hindus bilden aber in fast allen Staaten (Kashmir, die Mehrheit. Der Punkt meines Artikels ist eben genau der: Es gibt weder den Hindu noch den Muslim - nur will die politische Hindutva Bewegung genau darüber hinwegtäuschen denn sowohl der RSS (ultra rechte Hinduistische Bewegung mit faschistischer Ideologie) als auch die BJP suchen einerseits die Hindus entgegen aller ökonomischen und regionalen Unterschiede zu einen, und den ‚inneren Feind‘ zu schaffen. Dieser innere Feind ermöglicht die Illusion von Einigkeit, auch wenn sowohl der BJP selbst, als auch ihren politischen Hardlinern völlig klar ist, dass dieses Konstrukt bzw. Narrativ ständig mit Macht aufrecht erhalten werden muss. Der muslimische/pakistanische Terrorist als Archetyp des Bösen lässt sich aber gerade in der aktuellen globalen Lage (Jihad, ISIS Terror etc.) ganz wunderbar ‚verkaufen‘ und ist aktuell daher deutlich dominanter wahrzunehmen (sie Bollywoods böse muslimische Mobster) als Christen oder Sikhs. Letztere wurden z.B. unter Indira Gandhi abgeschlachtet - zumindest momentan ist die ‚battle line‘ aber verwischt. Nun zu Indien und Pakistan - da beide einmal ein Land waren - bis zur Teilung durch die Briten 1947 - haben sie logischerweise viele Ähnlichkeiten. Und gerade ihre ethnische Zersplitterung zeigt ihre Verwandtschaft. Im Übrigen: Soziale Brennpunkte sind - nachdem ich in Delhi gelebt habe und auch in vielen anderen kleineren und größeren Städten wie Mumbai war - wirklich in fast jeder Stadt zu finden da die Unterklassen eine unendlich viel größere Gruppe als die Mittelklasse ausmachen und eben NICHT die Minderheit. Die Unterschicht wünscht sich Technik? Aus welcher Quelle hast du das? Ich habe mit Leuten zusammen gewohnt (vornehmlich Inder und einige Europäer/Amerikaner) die in NGOs mit Slum Bewohnern zusammen arbeiteten. In den Gesprächen äußerten diese allerdings hauptsächlich folgende Wünsche: Eine feste Bleibe, menschenwürdige Arbeitsbedingungen und Bildung für ihre Kinder. Auf dem Land war v.a. der Wunsch nach Unabhängigkeit von lokalen Kredithaien und teurem Saatgut zu hören....ein Fernseher war da eher untergeordnet in der Bedeutung. Was Pakistan betrifft - da hast Du sicher Recht. Aber ich habe keinen Artikel über Pakistan oder die Bilder die man von dort sieht geschrieben. Welche Weisheit soll ich aus den Worten: „Man hat den Wählern Honig ums Maul geschmiert, wie bei uns“ ziehen? Das die politische Rhetorik dieselbe wie bei uns ist, ist kann wohl kaum ein Erkenntnisgewinn sein. Wenn Modi aber in seiner Rede tatsächlich auch den Unterklassen Besserung verspricht, muss er sich eben auch von ihnen und nicht nur von den Mittelklassen (die auch sehr heterogen sind) daran messen lassen! Riesige Fortschritte - ja. Aber wo??? Allein das Binnenmarktwachstum zeigt nicht, wie fortschrittlich ein Land ist. Das GDP pro Kopf schon eher. mit ein paar naja nicht ganz richtigen Aussagen, alleine die angezeigte Graphic ist mit der Realität nicht wirklich vereinbar und auch die Infos zu Mumbei/Bombay sind nur bedingt richtig. Indien, genauso wie Pakistan, ist ein föderaler Staatenbund. Also weniger ein Bundesstaat, als ein Land mit starker ethnischer Zersplitterung, ähnlich Amerika. Schon mal in Bangalore gewesen, ein Kollege von mir war da und was ich von den News-Insidern bekommen habe, ich erinnere mich, waren alleine die letzten Wahlen dort der Albtraum. Da will man nicht ohne Footballhelm ins Parlament von Kannada (cool die Autokorrektur kennt den indischen Staat) gehen. Es ist keine Frage zwischen Moslems und Hindus. Weder gibt es den Moslem, noch den Hindu. Besonders von Indien sind uns hier in Deutschland kaum die kastenunabhängigen Konflikte bekannt, die zwischen den ethnischen Gruppen auftreten und in den Parlamenten der einzelnen Staaten ihren Spiegel finden. Wir kennen ja nur Bollywood und farbenfrohe Menschen und schöne Frauen. Dass das mit der Realität und der Unterdrückung in Indien wenig zu tun hat ignorieren wir, weil wir die Vorstellung/Faszination als ausgleich zu unserem Leben hier nicht verlieren wollen. Das Indien dabei die größte Demokratie der Erde ist, macht diese Konflikte leider nicht leichter. So zeigt ein Blick nach Pakistan, das wir es ebenfalls mit einem zutiefst zerstrittenen Land zutun haben. Dabei sind die ethnischen Mehrheiten äusserst moderat. Nur in den Stammesgebieten nahe Afghanistans, und in den an den Iran angrenzen Gebieten kommt es vermehrt zu Auseinandersetzungen, die dann leider auch das ein und andere Mal, das ganze Land erfassen können. Die ethnischen Auseinandersetzungen sind hier bestimmender als religiöse Vorstellungen. Es ist im Grunde wie in Indien, wo sich bei der Vielzahl der ethnischen Gruppen, der Hass und Armut gegenseitig entladen. Dabei ist selbst Pakistan ein wunderschönes Land, das leider durch seine inneren Spannungen, nach Außen ein schlechtes Image hat. Städte wie Lahore oder Karatschi bieten mehr als Terror. 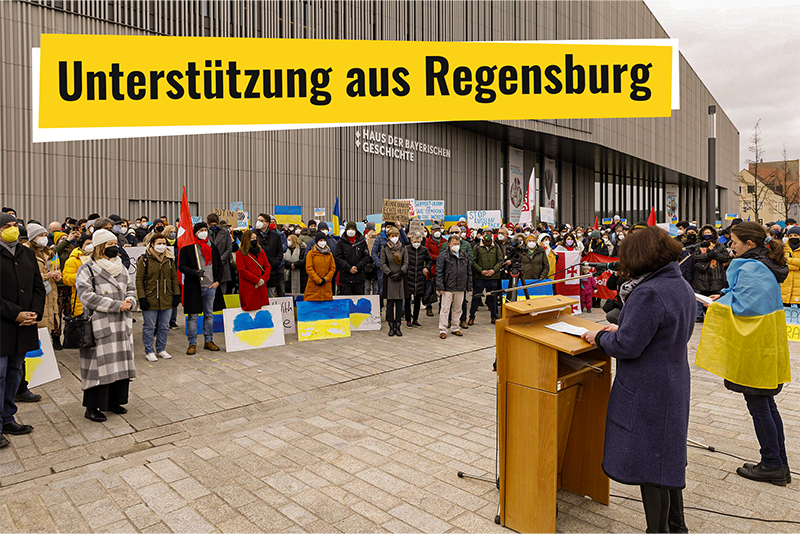 Uns setzt man aber leider hauptsächlich Bilder aus den umkämpften Stammesgebieten im Nord-Westen vor. So bekommen wir immer ein falsches Bild der Länder, wenn wir nur einen Teil davon sehen, so wie in Indien. Es ist eine Frage des gefühlten Wohlstands, der Stabilität, der inner-indischen Konflikte. Indien hat riesen Fortschritte gemacht und seine Binnennachfrage förmlich explodieren lassen, daher ist gerade die aufstrebende Mittelklasse und die sich mehr Technik wünschende Unterschicht für die Politik interessant. Weil beide sich mit domestizierten indischen Marken gut identifizieren können und Indien genauso wie in China einen Binnenmarkt für Hightech schaft, um sich weniger abhängig vom Export zu machen. Und genau an dieser Wachstumskurve des Binnenmarktes, wird sich die neue Regierung in Indien messen lassen müssen. Da diese ohne die Stabilität und die Begrenzung der inner-indischen ethinschen Konflikte nicht zu halten ist.